Two other chip creators, Qualcomm and MediaTek, are keeping a "close eye" on 7nm utilization at TSMC and will probably demand more wafer starts beginning in the late second quarter, DigiTimes said citing industry sources. Since production for 2019 iPhones is already expected to control most of TSMC's capacity during the third quarter, that could mean 7nm lines will be maxed out. Apple is TSMC's most important client, and was in fact the first to adopt 7nm for smartphones. Shrinking die size lets iPhones gain internal space and/or power efficiency, and sometimes shrink in overall thickness — though Apple appears to have dropped that as a priority with the iPhone XR, iPhone XS Max, and iPhone XS. 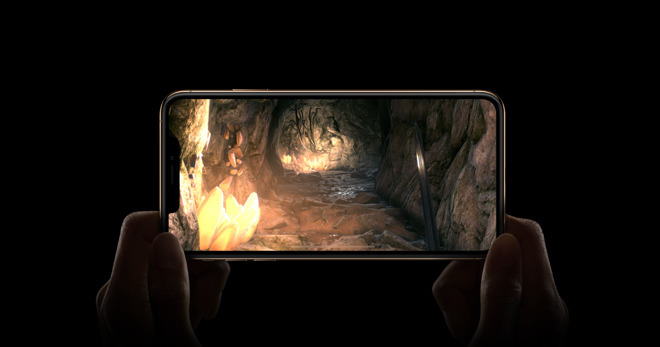 Relatively little is known about Apple's 2019 iPhone designs, except that the company should once again have two OLED models and one with LCD, and adopt a triple-lens rear camera, which could include new zoom and/or depth-sensing functions. They may be able to perform reverse wireless charging, for example powering the AirPods Wireless Charging Case. The next A-series processor will presumably be called the "A13" and increase both general and graphics performance. DigiTimes is a good source of supply chain information, such as factory builds and capacity limitations. It is a less accurate predictor of Apple's specific plans.